CHANGE. LIFE. MEANING. NURTURING. HEALTH. Is Retreat a noun or a verb for you? Do you read the word as a physical place, or a frantic departure? In the former case you'd be correct to see Retreat as a restorative destination, and in the latter, a process of saving yourself. We see it as both, but always with the aspect of Re·treat as in treatment, and re- as in re-programming. Sometimes flight is our only hope, and when that flight brings us to a group of welcoming souls, whose journeys have been proven to be helpful to those from nearly all walks of life, and all manner of stressors, you'd be right to see Retreat - O·live Re·treat - as a reprieve in motion and arrival to embrace the change. 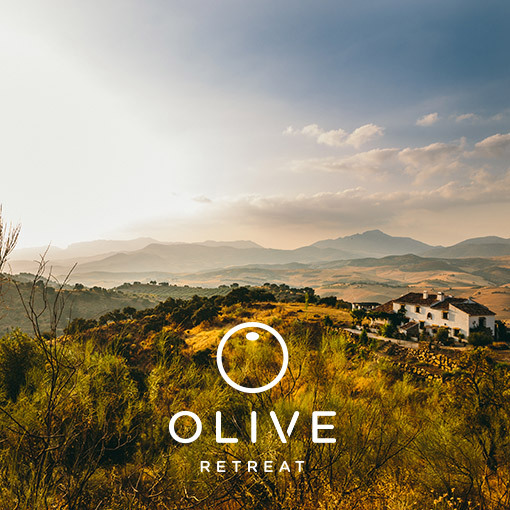 At Olive Retreat we combine the best of modern science and ancient theory to help you join those parts of yourself that aren't communicating so well. This helps you to become more aware of your choices and options in the modern, often un-natural and un-healthy world, and live more healthily and happily as a result. It's all about questioning common sense and getting to know your best friends again - your body and mind. In Thailand we have the perfect setting for quick results and everyone responds well as the plot is so different than the Western one. At no point do we focus singularly on the body or the mind, because the body and mind are one living organism, subject to the toxicity of life and the more modern parts of it. At no point in life are they separate, something we will discuss in class. An abundance of science exists to support our theory but ultimately you will feel it for yourself and learn to explore your inner healing power through proven methods, some ancient like the Vedic and Tantric traditions. They will help you understand and benefit from the forces we all have around and in us (such as karmentum, Kundalini, etc) in the exact portions adapted to your genetic matrix and needs in certain environments. Whatever suits you is there to keep. Last but not least, you will observe and dissolve karmic loads toward enhancing your health and therefore life force (Prana), in your previous, present and future lives, and those of your children. You'll feel it, see it, hear it and stay in it. — Inge, our oldest client, 92 years old! We don't believe in accidents or mistakes, largely because if any one of our lives is either, that would mean all those who we touch and are touched by, and all those touched and touched by them, and on and on ad infinitum, would also be a mistake, and that's just too improbable to be true. So, you've gotten this far in your search. Consider taking the next step and honoring us with your presence, with who you are now and who you are becoming, and open a door you'll never wish to go back on.